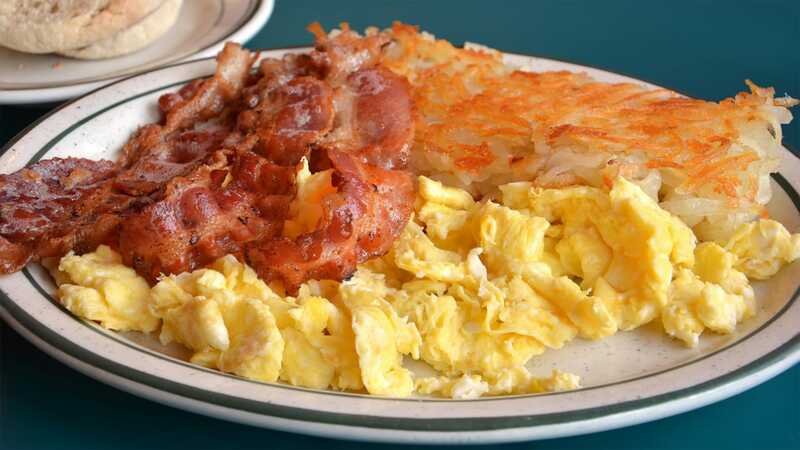 Served with golden brown hashbrowns, toast, and your choice of bacon, sausage, country ham, hamburger patty, country fried steak or corned beef hash. Choice 8 Oz Steak, cooked to order, served with hashbrowns and toast. It's enough to keep you grounded! Three eggs, two pieces of bacon, two sausages, hash browns and toast. Comes with your choice of cheese and served with golden hash browns and toast. Breakfast Sandwich served with egg, choice of meat, cheese, and hash browns. Two eggs, two sausage and French toast. Two eggs, three pieces of bacon and two pancakes. 2 eggs, hashbrowns and biscuits and gravy.